The Captain Marvel – Funko Marvel Collector Corps Box has arrived! 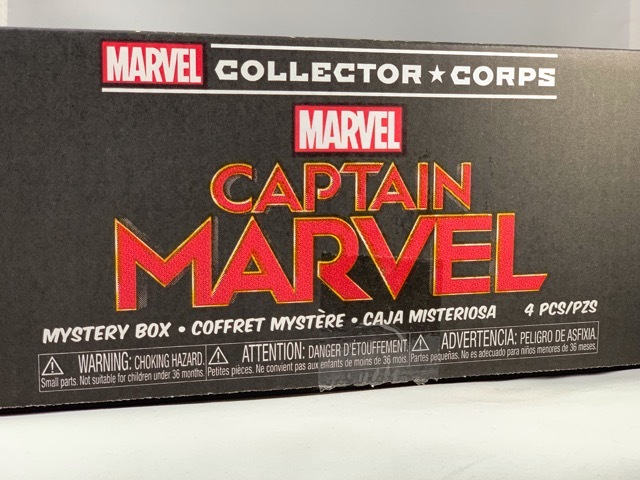 Continue to see the items in this Captain Marvel – Funko Marvel Collector Corps Box! Tagged Apparel, Captain Marvel, Collectible, Collector, Collector Alert, Figures, Funko, Marvel, Marvel Cinematic Universe, Marvel Studios, MCU, Picture Review, Review, Toys, Unboxing. « Pop! Captain Marvel Nick Fury With Goose The Cat Exclusive Review!